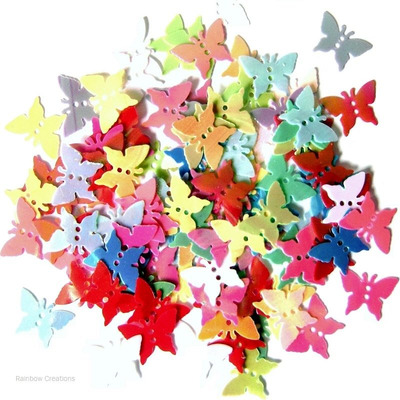 Small butterfly shaped sequins in a mixture of colours which are perfect for sewing projects, card making, table sprinkles and summer crafts with children. With two holes in the centre, they can be sewn onto fabric. The pack size would suit an individual.